Are you a startup, an entrepreneur or in business. There are a few tips and important terms that you should know. In this article, I am looking “Working-Capital” because it is imperative that everyone in business should be aware of the basic terms that play a vital role in the day to day running of your business. It is advisable to understand these basic terms because it gives you an insight into what to expect and how to plan your business as regards its financial accounts. Are short-lived assets and liabilities which arise from day to day operations such as trade creditors, stock, etc. It is also long-term capital needed to finance the difference between current assets and current liabilities. 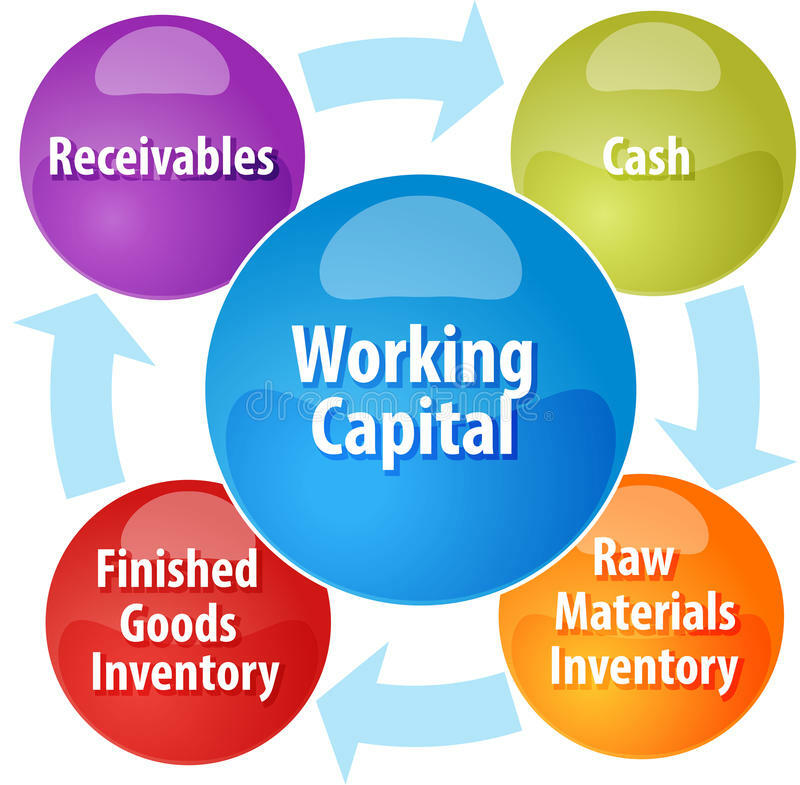 From the definitions above, you understand that working capital is also referred to as net-working capital and it is the difference between a company’s current assets, like cash, accounts receivable (customers’ unpaid bills) and the inventories, records or accounts of raw materials and finished goods, and its current liabilities, like accounts which are payable. It is basically the measure of both a company’s operational efficiency and its short-term financial health. The working capital ratio (current assets/current liabilities), or current ratio, is the factor that indicates whether a company has enough short-term assets to cover its short-term debt. A working capital ratio can be referred to as good when it is anything between 1.2 and 2.0. When the Working capital ratio is less than 1.0, it indicates a negative working capital, which has potential liquidity problems and financial analyst sees the red flag. While a working capital ratio which is above 2.0 might indicate that a company is not using its excess assets effectively to generate maximum possible revenue. A company’s current assets must exceed its current liabilities to stay afloat because if its current assets are lower than its current liabilities, then there is a problem. The company will have trouble paying back creditors or may go bankrupt. The analysts quickly take a look at the quick ratio, which practically is more like a quick escape route and an acid test of short-term liquidity because it only includes cash and cash equivalents, marketable investments and accounts receivable. Most projects require an investment in working capital, which reduces cash flow, but cash will also fall if money is collected too slowly, or if sales volumes are decreasing – which will lead to a fall in accounts receivable. Companies that are using working capital inefficiently can boost cash flow by squeezing suppliers and customers. A company has negative working- capital If the ratio of current assets to liabilities is less than one. A high working capital ratio isn’t always a good thing. It might indicate that the business has too much inventory or is not investing its excess cash.